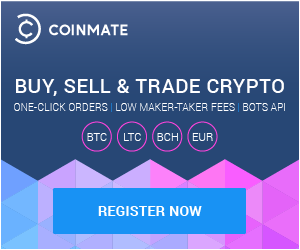 Thank you for your interest to Coinmate Crypto Exchange, one of the oldest and most reliable exchanges in Europe. Here are the terms and conditions for the FREE TRADING VOUCHER you received at the Hackers Congress 2018. The free trading voucher is a gift, especially for you. It cannot be given to another person. If they want one – please send them over to our booth and we’ll oblige. The promotional code on this voucher will allow you to trade without incurring trading fees for 30 days. This voucher and promotional code are valid until 31st December 2018. This promotion is for newbies and only valid for newly created Coinmate.io accounts (accounts created on 5.10.18 and later). This voucher covers trading fees. It does not cover any other fees, such as deposit or withdrawal fees. Your free 30 days of trading will start on successful confirmation by our support team. Remember, just register an account and communicate your code via the internal support page. If you have any questions, we are more than happy to answer them. We’d love to see you. Please visit our booth and talk to us. 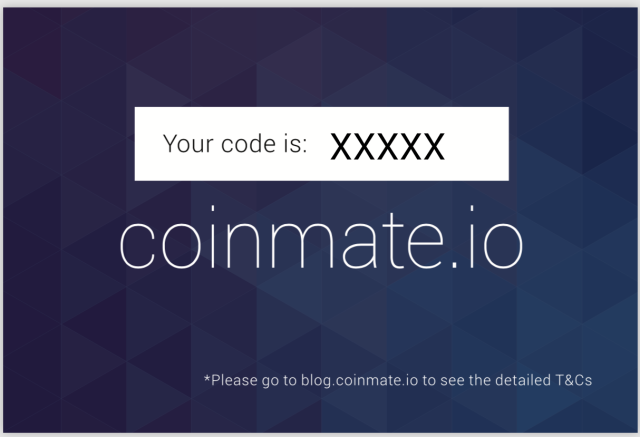 Alternatively you can contact support@coinmate.io, or visit us on our Facebook page.